Should I grab the queen? GM Zong Yuan Zhao completed a dominate performance in the 2011 Oceania Zonal with a final round win over IM Vladimir Feldman. Zhao finished with 8 wins and 1 draw (against Bobby Cheng). A point and a half behind in outright second was Andrew Brown, who defeated GM David Smerdon, and earning an IM title as well. Max Illingworth and Moulthun Ly tied for third on 6.5/9. The final round of the Women's Zonal turned out to have more than a touch of drama, with both Irina Berezina-Feldman and Biljana Dekic only able to draw. With Emma Guo winning her game, Berezina-Feldman and Guo finished tied for first, with Dekic a half point behind. As a result, a play-off match between the two winners is to be organised in Australia at a later date. Apart from success for the winners, there would be a number of people involved in junior chess in Canberra over the years who have reason the feel pleased as well. Of the 6 titles that could be earned at Zonal (IM,2xFM,WIM,2xWFM), 4 of those went to Canberra players. Andrew Brown becomes an IM, while Gareth Oliver earns an FM title. Emma Guo is now an WIM, while Megan Setiabudi picked up a WFM title after her 4th place finish. Moulthun Ly (FM) and Nicole Tsoi (WFM) were the other title recipients. Full results can be found at the Canterbury Chess Club site (click on the Zonal link). GM Zong Yuan Zhao has wrapped up the 2011 Oceania Zonal with a round to spare. Playing closest rival FM Bobby Cheng in round 8, the game ended in a draw on move 25. This leaves Zhao on 7.5/8 and still a point and a half ahead of the rest of the field. Tied for second on 6/8 are Cheng, Andrew Brown (who beat Junta Ikeda, and IM Vladimir Feldman, who upset IM George Xie). Tomorrow sees Zhao play Feldman, Brown against GM David Smerdon, and FM Max Illingworth v Cheng. In the Womens Zonal, FM Emma Guo has done enough to secure the WIM title, with a win over Viv Smith in Round 10. She also has a chance of finishing first, depending on the last round results. The final round starts at 10:30 am (NZ time), so all should be clear around lunch time (Australian time). What a difference a day makes, at least for some people. GM Zong Yuan Zhao has extended his lead to a point and a half, and with only 2 rounds to go, is almost certain to qualify for the next FIDE World Cup. The only player who can overtake him is FM Bobby Cheng, and they play tomorrow. There is a group of 6 players 2 points behind the lead, and theoretically there could still be a multiple tie for first, but this is highly unlikely. Instead the interest in this group is to see who can clear the first hurdle towards an IM title. As the only 2 IM's in the group (Xie and Feldman) are paired together, the Ly v Illingworth and Ikeda v Brown pairings function as a kind of IM semi-final (not ignoring Cheng's chances of course). The clash between the two GM's today did not disappoint, with an incredibly sharp opening leading to a tactical brawl that lasted all the way to the ending, where Zhao emerged 1 pawn ahead(!). However this advantage was enough in a rook and pawn ending, although Smerdon fought hard till the end. Two rounds and two more wins for GM Zong Yuan Zhao. He now leads the 2001 2011 Oceania Zonal by a full point, ahead of Moulthun Ly who is on 5/6. Having played each other in round 3, Zhao is up against GM David Smerdon in round 7, while Ly plays Bobby Cheng. Illingworth v Feldman is the board 3 pairing (both are on 4.5 with Cheng). At this stage Zhao is the odds on favourite to win the event, although a win by Smerdon tomorrow would suddenly open up the field once more. For Ly, Illingworth and Cheng, there is also the IM title to consider, with 6.5 likely to be the required score. In the Womens event, Dekic (5.5/6) leads bye half a point over Feldman, with Guo a further half point back. As none of the leaders has had a bye yet, the crucial round will be round 8 (tomorrow afternoon) when Guo plays Dekic while Feldman has the bye. Tomorrow is a single round in the Open zonal (the Women play double rounds on Saturday and Sunday), so I finally have time for a bit of sight seeing (in between opening prep). The last few days have seen very nice weather, although the rain has returned just in time for the weekend. For the tourist there are plenty of things to do, but interestingly, almost all of the adventure parks, bungee rides, boat rides or tours keep the price of the activity very well hidden, often only revealing them via a small sign on the cash register. This seems to be a blanket policy in Rotorua, although I have been told this is the complete opposite to how it is in places like Queenstown. Today saw the 4th round of the 2011 Oceania Zonal, and GM Zong Yuan Zhao is the only player left on a perfect score. He beat IM Gary Lane in 40 moves, while the other round 3 leader, Andrew Brown, lost to Sydney FM Max Illingworth. Illingworth and Zhao play in tomorrows morning round on the top board. As for the rest of the field, the race for first (or for various titles) is still wide open, with 13 players on 3/4. One of these players is GM David Smerdon who won an interesting game against Stephen Lukey. After playing his opening moves quite quickly, he slowed down around move 13 as Lukey kept the position under control. However a pawn grabbing excursion with the queen not only lost Lukey some time, but created an unbalanced position which allowed Smerdon to whip up a decisive attack. The hero of the 2nd day of the 2011 Oceania Zonal was Andrew Brown. In the morning session he defeated Australian Junior Champion Bobby Cheng, and then in the afternoon he defeated Australian Open Champion IM George Xie. Brown is leading the zonal with 3/3, along with GM Zong Yuan Zhao and IM Gary Lane. Tomorrows draw sees Zhao play Lane, while Brown plays Max Illingworth. Another player performing above his seeding is Tristan Stevens, who is on 2.5, with a win over IM James Morris and a draw with GM David Smerdon. He is one of 6 players half a point off the lead. As for Fiji/PNG players it was a mixed day. Both Joselito Marcos and myself won in the morning (my opponent seemed to lose hope just as tricks were in the offing and resigned), while we both lost in the afternoon (I manged to drop a piece quite early on). Manoj Kumar from Fiji also won one and lost one today, while the other Fiji rep, Sam Goundar is hoping to break his duck tomorrow. Full results of the event are now available at chess-results.com, while pgn files for all the rounds can be download from the Canterbury Chess Club website. I don't have access to all the results but there were already some significant results in the first round of the 2011 Oceania Zonal. On board 2 David Smerdon was held to a draw by Ivan Dordevic, while further down their were a number of draws (including myself against Nigel Cooper, Brian Jones with Josh Bishop, Helen Milligan with Matthew Bennett and Andrew Fitzpatrick against Winston Yao). 56 players are taking part in the Open zonal, while the Women's zonal will be an 11 player round robin (with a couple of extra rounds added on). For those looking fr live coverage, this is still a work in progress, with some cabling issue still being resolved. Tomorrow is a double round with round 2 at 9:30 am and round 3 at 3pm (NZ time). Top seed Bobby Cheng from Victoria is the 2011 Australian Junior Championship, with an undefeated 8/9. He drew with second placed Yi Yuan in round 6 and Laurence Matheson in the final round. Yuan finished half a point behind on 7.5, with Yi Liu and Thomas Feng a point and half back in third place. The second place for Yi was one of three for ACT players, with Willis Lo finishing second behind Daniel Zhang in the Under 14's and Michael Kethro behind Daniel Lapitan in the Under 12's. Full results for all sections are here. Just click on the name of the tournament to bring up the results for the specific age group. Spent the day doing the tourist thing in Auckland. Using the cheapest tour bus company in the city (ie public transport) we saw quite a lot of the various shopping districts, the waterfront, and then spent a couple of hours at the excellent Auckland Museum. Tomorrow is the drive from Auckland to Rotorua, although whether I go via Hamilton or Tauranga is still to be decided. Heading off for the Oceania Zonal this morning so blog posts over the next few days will be dependent upon net access. However I plan to bring regular updates from the tournament, as I'm assuming I will be back on 'grid' when I get to Rotorua. While going over some openings for the upcoming zonal I came across the following interesting game. Although it was only a rapid game it contained a number of important theoretical points, including the tactical reasons why 8 ... Nd7 works for tactical reasons. 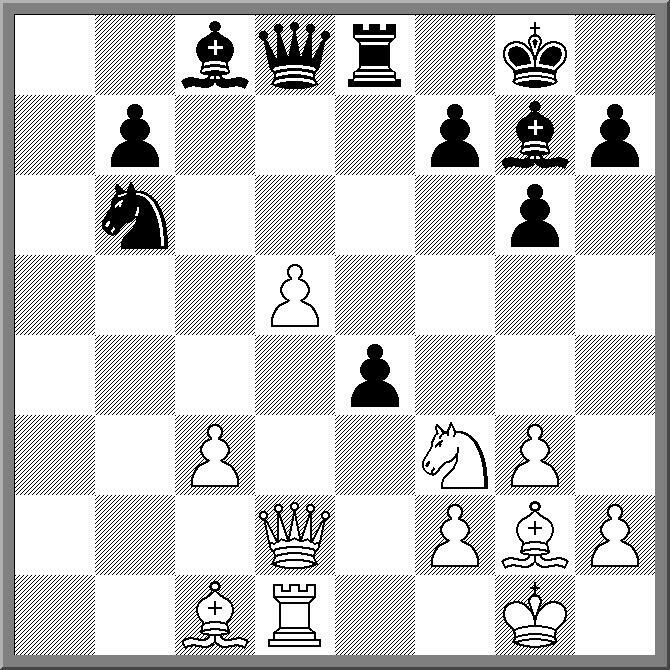 However it was the battle between the two black bishops and the white rook that was the most picturesque. The sequence staring on move 26 has the black bishops driving the white rook into the corner, where it eventually gets captured. After that Black has no trouble wining the game. The 2011 Oceania Zonal starts on the 25th January in Rotorua, New Zealand. A couple of Australian players are already acclimatising themselves to the chilly New Zealand conditions and many more will be making the journey across the Tasman in the next few days. I've got my PNG flag ready to be packed, and will be starting my journey on Saturday. A couple of days of sight seeing in Auckland before driving up to Rotorua, ready to take part in my first Zonal. With a field of 58 players (so far) I'm currently seeded just above the halfway point, so 50% would be a nice result (especially given my play at the Olympiad). Also being held during the zonal will be the first meeting of the Oceania Chess Confederation. The confederation is a more formal grouping of countries that make up the Oceania zone, with an emphasis on development in the region. While the main point of the meeting is to establish the organisation, hopefully some new development programs for the region will also be created. A new documentary about the life of Bobby Fischer is to debut at the Sundance Film Festival. The documentary, titled "Bobby Fischer versus the World", is directed by Liz Garbus. It covers his entire life, and contains some significant film footage from the 1972 World Championship Match. Further details about the film can be found here. No one deliberately plays bad moves at chess. And yet mistakes happen. This is because we play moves we think are good, only to find out, courtesy of our opponent, how bad they really are. Sometimes we might wish a move is good (as in 'I can't see the win but hopefully this move works'), but wishing is not normally an effective strategy. I believe that a major difference between weak and strong players is that strong players don't make so many wishes. This in part is because they don't need to (because they can see the wins that weaker players can't) but also because they are simply more objective in their choice of moves. If the position requires simple moves, then simple moves it is, and no time wasting looking for more complicated solutions. So this is why the Giri-Carlsen game from the current Tata Steel tournament was such a big shock. 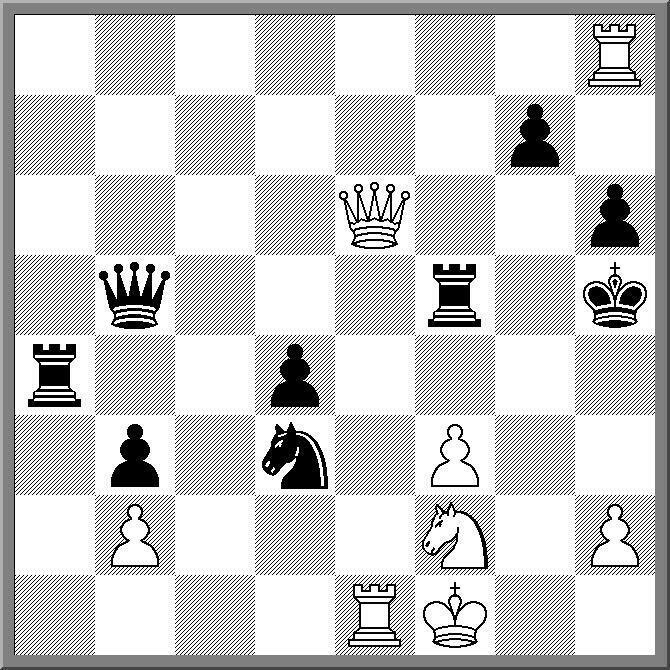 Both Giri and Carlsen chose moves that required a degree of tactical calculation (14. 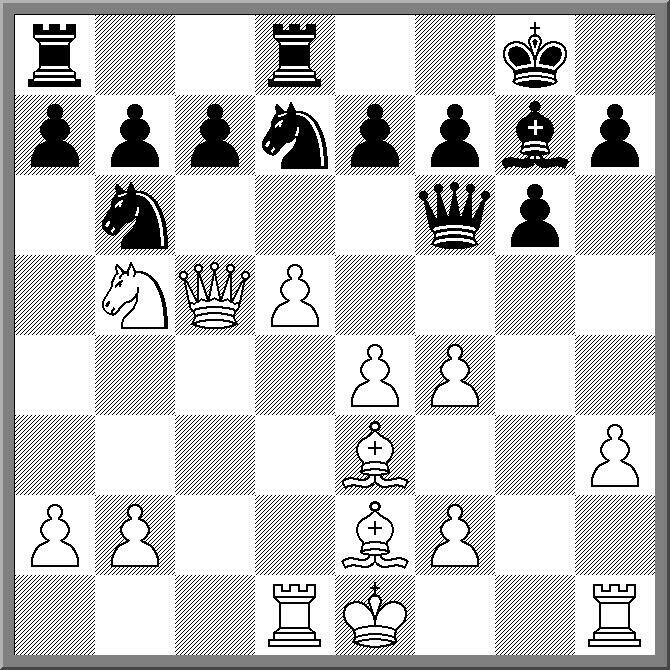 ... cxd5 for Giri, 20.Ng5?? for Carlsen), but it looks like Carlsen's choice was based on a tactical oversight. In the space of 3 moves he had dropped a piece and the game was over. The choice of a new format for the Australian Junior Championship seems to have paid off with a large turnout for this years event. Adopting the system used in the World Age Championships, each age title (Under 18, 16 14, etc) has a separate tournament (open and girls). The other change is to hold the younger events over the a shorter time fame, with only the under 16's and 18's running for the full length of the tournament. After 4 rounds of the Under 18 pen, top seed Bobby Cheng leads with 4/4. He is followed by a large group of players on 3/4. One of those players is the sole ACT representative in the tournament Yi Yuan. While he has yet to play Cheng, he did demolish another of the top seeds, IM James Morris in round 3. Greg Hjorth, Australian IM and Mathematician, has passed away at the shockingly young age of 47. Hjorth was part of the very talented generation of Victorian juniors of the 1970's, and represented Australia at the 1982, 84 and 86 Olympiads. He was also a 3 times winner of the Doeberl Cup, in 1982,85, and 87. Many astute judges regarded him as one of the great future talents of Australian Chess, but a career in mathematics became his major focus, restricting his tournament play. Over the last 20 years he played a few events in the United States, where he was working, and also played the odd event in Melbourne upon his recent return to Australia. Further information on his life, and tributes from those who knew him can be found here. The Tata Steel (Corus) 2011 tournament has just started in Wijk aan Zee, The Netherlands. The first of the 'Super GM' events for the year, the A tournament is a 14 player single round robin, with an average rating of 2740. The top seeds are the worlds top 4 players, Carlsen, Anand, Aronian and Kramnik. There are also Grandmaster B and C tournaments, run on the same format of the A tournament. The tournament web page is here (and I like its simple uncrowded layout), with links to live games etc. The broadcasts start 1:30 pm local time, which is 11:30 ampm Canberra time. As I type this most games are still in the early stages, except for Smeets v Shirov, which has raced to move 22, as the players follow a very sharp and messy line in the Ruy Lopez. As for my tip to win this years event, I feel it will end in a tie between Carlsen and Aronian. The Tuggeranong Club's first event is a lightning starting this Monday 17th January, while the Canberra Chess Club starts this coming Wednesday, 19th January. The ANU Chess Club's first night is the 2nd February, with the club hosting the ACT Lightning Championship. The 2011 Australian Open ended in a 3 way tie for first place between GM Zong Yuan Zhao, IM George Xie and Moulthun Ly. Zhao and Ly played a quick draw on the top board to reach 8.5/11 while Xie defeated early leader FM Junta Ikeda to join them. According to the tie break system used (Sum of opponents ratings minus the lowest rated opponent) Xie finished with the title of Australian Open Champion. Tied for 4th place were Andrew Brown and FM Vladimir Smirnov. Smirnov also scored the only IM norm of the tournament, which is his third and final norm. The minor event (under 1600) which ran alongside the open also finished in a tie with Dennis Wan and Megan Setiabudi finishing well ahead of the field with 9/11. Andrew Brown's equal 4th placed finish was one noticeable result from the event, and signified that he can be a danger to any player he meets. Although he lost to two of the tournament winners (Zhao and Ly) he had a particularly strong finish with wins overs IM's Feldman and Solomon, and a final round victory of FM Max Illingworth. Via the New York Times chess blog comes news of a new claimant to the title of "Strongest Chess Program", for the PC at least. The program is called Houdini, and is the highest rated program on the IPON rating list, ahead of both Rybka and Stockfish. The program is free to download, although I'm assuming the source code isn't available (unlike Fruit,Stockfish etc). It is a relatively new program, so new that it isn't on the last SSDF list (which was released in September 2010). I've downloaded it to my netbook (not the most powerful test platform), and it runs under Fritz/Chessbase without major problems. I'll have a look at it over th next few days to see how strong it is, although as with most super strong programs, I'm not sure it makes a real difference. FIDE have announced that 2011 will be the Year of Mikhail Botvinnik, to commemorate the 100th anniversary of his birth. I'm not sure in what form this commemoration will take, as the announcement was pretty brief, but I assume there will be a few special events organised, although whether they will be organised directly by FIDE is not clear. In talk of the greatest players of all time Botvinnik tends to fall behind the Big 4 (Alekhine, Capablanca, Fischer, Kasparov), but he is often considered number 5 (in competition with Karpov and possibly Lasker). Of course his other great legacy was in the development of a new generation of champions, with his coaching school justifiably famous. He also provided a link between the pre and post World War II generations, having played all the world champions from Lasker through to Fischer in tournament or match play. He chose to retire in 1970, while still a formidable player, missing the chance to challenge the 'Fischer' generation. Against Fischer he only played the one game, at the 1962 Olympiad, and the game famously ended in a draw, after Fischer went to the adjournment with a clear plus. 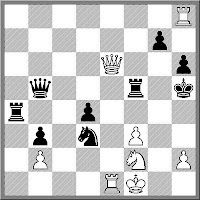 Fischer had won a pawn in the opening after Botvinnik missed a simple tactic, but in the eventual rook and pawn ending Botvinnik found a drawing idea, which halved the point. Normally the result of a university chess championships might not be worthy of coverage, but the championship of the Russian State Social University saw a pretty impressive final match. Ian Nepomniachtchi and Sergey Karjakin played a mini match for the title, which consisted of 2 rapid games, which ended 1-1, followed by 4 blitz games (2-2) and finally an armageddon blitz which was won by Karjakin. Now I'm not sure whether there were other players who played preliminary rounds of the university championships, or the organisers simply asked anyone with a rating over 2700 to raise their hands, but the organisers do deserve credit for simply getting a couple of strong university students to actually play in their championship. Ask anyone who has run a university chess club about what an achievement this truly is. When I was a kid I really wanted to write my own computer chess program. The only problem is I had no idea how to do it. Eventually I discovered a piece of software called Turbo Games Works, which had programs that played Chess, Bridge and Go-Moku. More importantly it had the source code for each program, enabling me to learn how to write my own programs. Of course in those days the internet had yet to really take off, so getting copies of program source code was extremely difficult. These days it is much easier, especially due to the enthusiastic open source community. PyChess is one such open source program that aspiring computer chess coders might find useful. Not so much for the playing engine (anything written in python can only go 'so' fast) but for the other bits and pieces a program may need. It has a gui as well as providing support for playing online at FICS and other servers. So rather than spend your time trying to understand the FICS protocols, a quick read of the source code for Pychess would save you a large amount of time. BTW I ended up doing more work with Turbo Bridge rather than Turbo Chess, even implementing some alternative bidding systems. Sadly I no longer have the source code for either program and am interested in tracking it down. If anyone has a clue about where I could find it I would appreciate it very much. Print might not be the correct word for it, although it is described as a '3-D printer'. An automated carving system might be a better description. Assuming it is the same as other devices I've read about before (but not actually seen in operation), instead of paper you feed it blocks of foam, which are then whittled into the shape required. This one is a kit which costs over $1000, so I'm not sure I'd be rushing out to buy one just yet. After 6 rounds Canberra FM Junta Ikeda is the sole leader of the Australian Open. His 5.5 points has included wins over GM Zong Yuan Zhao and FM Vladimir Smirnov, and a draw with IM Stephen Solomon. There is a 4 way tie for second with IM Stephen Solomon, IM George Xie, FM Max Illingworth and FM Greg Canfell all on 5 points. Tomorrow is a rest day with Ikeda playing Canfell on the top board in round 7. New Zealand is justifiably proud of its Championship, which is the longest running national championship in the world. The 118th edition is currently running at the Auckland Chess Centre, with 11 time winner Anthony Ker leading after 5 rounds with 4.5. Before the event there was some discussion about the strength if this years field, with the fact that the Oceania Zonal is starting in Rotorua in a little over 2 weeks possibly forcing some players to choose one event over the other. However looking at the field for both, it seems that the championship field shades the zonal field for strength, where the New Zealanders are concerned. This is the opposite of the situation in Australia where the strength of the Australians in the Zonal (at the top) are slightly stronger than those playing in the Australian Open. I wonder if this a commentary on the notion of national pride for the respective countries, or is it just the case that some holiday destinations are better than others? With the December/January period being a busy chess playing period, there are going to be some players facing the same opponents twice or three times. Under these circumstances it will either be a case of one player having the wood over the other, or a chance to even the score. In the third round of the Australian Open, GM Zong Yuan Zhao faced up against Andrew Brown, who had defeated him in the third round of the recently completed Gold Coast tournament. However lightning didn't strike twice and Zhao turned the tables on Brown, with a nice tactical win. A few issues of Australian Correspondence Chess Quarterly ago, I annotated a set of games that started with the Marshall Gambit (Ruy Lopez version). I remarked that annotating Marshall's was a difficult task as either one player came up with a theoretical novelty (TN) which just won on the spot, or the game petered out into a draw. The unstated point was that the Marshall is pretty much all tactics, and strategical battles are almost non existent. As further evidence of this point, I've just completed a game in the Australia v India match which ended in a draw. My opponent played the Kevitz variation, which can be annoying, but is't the sternest test of the opening. The crucial point was at move 23 where he offered me the choice of winning back a sacrificed piece, or winning his queen for bishop and rook. Part of the difficulty for me was that my enthusiasm for CC is waning a little so I didn't subject the position to the level of scrutiny it required. Having thought my opponent had a defence to 23. ... Rxe3, I went for the queen, but without enough pieces to help my queen the game quickly ended in a draw. Picking a first round game for publication from any big swiss is often a choice between upset or massacre. You either find some poor player in the lower half of the field who gets hammered by a GM/IM opponent, or you find some poor player in the top half of the field who blows up against a much lower rated opponent. For the current Australian Open I've decided to feature the upset. As the event is being seeded on FIDE ratings, the gap between the two players doesn't look that great, but there was a gap of 43 places in the seedings between the two players. Surprisingly it was a tactical miscalculation by the higher seeded player that pretty much decided the game, but Alana still finished the game with a nice queen sac. The Reggio Emilia tournament, currently running in Italy, saw Nigel Short bounce back from his poor showing in the London Chess Classic, with 2 wins in the first 2 rounds. His first round win over Gashimov was a titanic struggle where both Kings diced with death, but his second victory was a result of a "well disguised and beautiful swindle", as he posted on his facebook page. He also described the physical reaction that occurred when he played 36.Rb8! !, but as this is a family blog, I think I'll leave it there for now. The 2011 Australian Open starts tomorrow and the organisers have the first round pairings up already. Top seed for the event is GM Zong Yuan Zhao, with IM George Xie, IM Stephen Solomon, IM Vladimir Feldman and IM Irinia Berezina-Feldman also taking part. As this is the equivalent of of the Australian national championship events, restrictions on foreign players for title norms don't apply, and so there should be some players hoping for an IM norm. This would include Junta Ikeda and Max Illingworth who both had good tournament victories in the last week. Alongside the Open, is a Minor (under 1600) event, and the Norths Classic, which looks almost like a Seniors event (Although I'll apologise in advance to any below 55's playing in this tournament for that description). The tournament web page is here, with links to results for all the events, and live coverage of the top games.